Today we will talk about how to add a contact form and contact us page to blogger. We know that every website has contact form and contact us page. And it is very important to contact AdSense and contact form and contact page. Any website Visitors can contact the blogger's contact form and contact page. From this contact page and contact form, so we will discuss how to add contact form and contact page to bloggers today. All code will be provided to add contact form and contact us page to blogger. Generally, the blogger will create contact forms and contact pages through HTML, CSS, XML. This is very important for AdSense Approval. So let's start the discussion about how to Add Blogger contact form and contact us page. Follow all the steps below to add contact contacts and contact pages. First work login to blogger. Then click on the blogger layout. 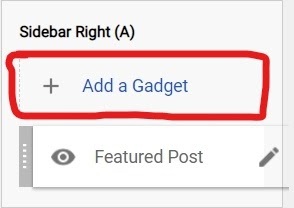 your layout according to select the area and click on add a gadget. see the Demo image. Find a contact from page gadget. Configure Contact Form Widget, you can Edit your title that's your choice and Save it. You can see the contact form Demo image But by default, the theme color will be applied your title and send button. I hope you understand, how to add a contact form to Blogger. Have any question ask me. you need to complete My Step1 process. Paste this code before </b:skin> CSS code . Find ( Contact Form ) see the image. <b:includable id=’main’> ... </b:includable> Delete. Then save it. Create contact us page click HTML mode. Paste the code below and Publish. Then blogger Contact Us page is completely created. Have any question about this topic? Hopefully, this will be very easy to create contact form and contact us page on Blogger.